If you or someone in your life has an autoimmune “lifestyle”, it isn’t always easy to pick the just-right gift! 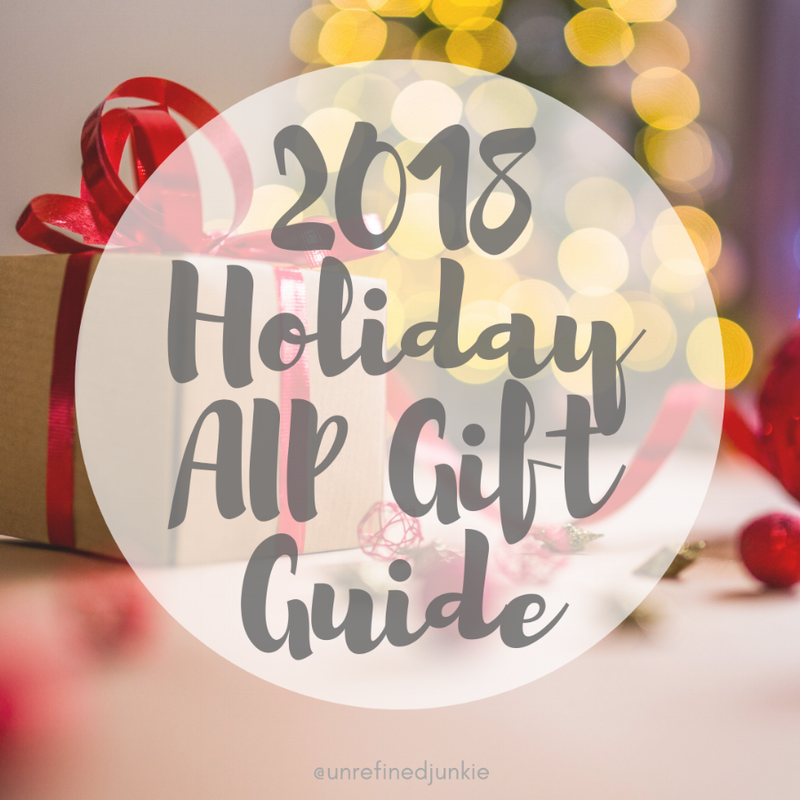 So whether you’re adding to your own wish list or shopping for someone else, I thought I’d share a few of my favorite things (hint hint, hubby…some just may be on my own wish list!). Have a very happy, very healthy holiday everyone! Instant Pot – Enough said. Lodge Cast Iron Skillet - My personal favorite brand of cast iron. I have two and they are rotated constantly! A quality ceramic pan - A great nontoxic, nonstick pan. Most of my sauteed dishes go in here! A quality Ceramic Knife – I just can’t say enough here…life saver. JosephJoseph Garlic Rocker – I use mine on the daily. Seriously, life changing. Blendtec High Powered Blender – Also use on the daily. Healthy Human Stainless Steel Canteen – Forget the plastic bottles and hormone disrupting chemicals they come with. Glass Storage Containers – Toss the plastic! Cotton Cheese Cloth – A must have for the AIP’er who makes their own broth. Inspiralized Spiralizer – Quality made and durable, this keeps you from overpaying for pre-spiraled veggies. A quality Food Processor, like Breville brand - This is an absolute must…mine gets a hefty workout nearly daily, so durability is definitely important. Simply AIP - A monthly subscription box full of need-to-know-about AIP products. Barefoot Provisions Giftcard - An online store curated by lifestyle type: AIP, Whole 30, Paleo and Keto. A priceless resource! Thrive Market - An annual membership is the gift that keeps on giving! Joovv Red and Near Infrared Light Therapy devices – Pain management, detox, sleep support. A spring or bungee bound mini trampoline for rebounding – A must-do for lymphatic drainage. Spring will be a better aerobic workout, but bungee is much easier on the joints…a big deal to almost anyone with an AI issue. Gloves for those living with Raynaud’s - Circulation and temperature support. Dry Brush – for lymphatic drainage and detox support. Gift cards for services like: Massage, Infrared Sauna Sessions (in lieu of a machine for at home, like Joovv), Amino Neuro Therapy treatments, Yoga classes. A nice, comfy pair of PJ’s and Dr. Sarah Ballantyne’s ebook, Go To Bed – Another personal fave! Meal Planners and Pre-formatted shopping lists. Why Stomach Acid is Good For You by Jonathan V. Wright, M.D. and Lane Lenard, Ph.D.
30 Minute Meals for the Paleo AIP, a community cookbook by the AIP blogging community including yours truly!